Think about Power. The mind of the ambitious harbors dreams about wielding control, while the rest think of the famous quote by Lord Acton, the British historian (1834-1902), who said, “…absolute power corrupts absolutely”. Although it is easy to dismiss power as a necessary evil in the worldly scheme of things, it masks our ambiguous relationship, wanting to wallow in the luxury of freedom it allows, without succumbing to the guilt of having abdicated responsibility. What does power mean to me as an individual? I perceive it as a life-force which controls and influences my environment as per my intentions. However, what is manifested on the outside need not necessarily arise from this inner force. In my worldly affairs, as I look deep within, it arises from a lacuna I sense within. In moments of crisis, when this lack gnaws at my insides, it arises from the depth of my being to console my incomplete self, pregnant with an immediate sense of hope to drive me towards action. What I really need to find out is this: Is it possible to fill this void from outside? Where does it arise from? With the whole world turned upside down by the devastating global financial crisis, I can ask these questions which could give clues about our collective human psyche, trying to make sense of the ignominious earthquake that has tumbled all our cherished structures of belief, be it capitalism or consumerism - widely touted as the panacea for all the ills faced by the emerging countries. When I observe the vast scale and magnitude of the multi-dimensional, multi-causal forces driving the complex, interconnected, globalized world we are living in, it seems as if I have no control over them. Imagine caught in an avalanche sliding down rapidly towards the valley of death. In such grave circumstances, it is appropriate to have a closer look at power and explore its crucial role in bringing a change for the collective benefit of mankind. What is power? Thomas Hobbes, the English philosopher (1588–1679) defined power as a man's "present means, to obtain some future apparent good". William R.Torbert described it as unilateral, in which ‘might is right’. This was considered unethical as it was based on initial desires and fears. Various definitions of power were given by philosophers depending on the rationality of human will, and the consent of those subjected to power. Power gained moral sanctity when its use was justified as a means to obtain supreme virtues such as love, freedom et al. As the mind separates means from the ends, it manifested in the impulse of power to dissociate freedom, arising from the exercising of power, from responsibility, arisen from the conscious choice made in exercising the freedom. Some wise soul once pointed out to me that the word justice could be looked as ‘just as it is’. As we stand at the cusp of a new era, it will be quite fascinating to look at the possibility of ‘just power’ as it would mean that the powerful are willing to bear the responsibility while enjoying the luxuries of the freedom. But why should freedom be restricted only to the powerful? This would narrow the gap that exists between powerful and powerless. What would that augur for the distribution of power? If you come to think about it, the word ‘distribution’ seems inappropriate as it is redolent of an authority distributing based on vested interests. The recent turn of events in the Wiki leaks saga makes a strong case for just power, throwing light into the emerging world view where authority per se is a thing of the past. Several orthodox critics who chastised Wiki leaks' moral high handedness in appointing itself as the arbiter of government’s secrecy are unable to accept this radical view, despite mounting evidence. Is it really possible for ‘just power’ to manifest itself in a world, not fully recovered yet from the painful global reset, in its true spirit, where responsibility could be bore without wanting freedom exclusively? What would be the leadership energy which would help in taking forward this radical vision? Imagine watching a conductor waving the baton at professional musicians of an orchestra. All of a sudden, an oboe solo plays a bad high note and other musicians fall in line and in no time the musical ensemble goes awry. The poor conductor, disgusted by the critics who lambasted him for the poor orchestral performance, walks away. The orchestra performs with renewed vigor under the guidance of a new conductor, only to find the ensemble performance turned awry again. 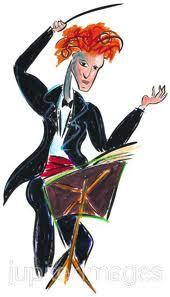 Is it hard for the mind to imagine an orchestra without the conductor? The Orpheus Chamber Orchestra performs without the conductor, feeding off the energy of the fellow musicians. Imagine how beautiful a musical performance would turn out if every note played by each musician emerges from the bosom of the musical moment, rather from the composition, howsoever beautifully written, still limited by the composer’s imagination. Every time when the orchestra of our economic system goes awry, we begin scouting for a new conductor with a glimmer of hope that the heroic, superman leader would revive the atrophied system and get the economic engine back on wheels. However, as every crisis unfolds and pillories our belief systems, including the leaders who espoused them, we desperately start craving for the latest belief system without realizing how much they have crippled our ability to start afresh. There is nothing wrong in a belief system, except that it divorces context from the picture and thrusts its ideals aimlessly. Although it is disheartening to talk about the death of ideals of leadership, especially at a time when the price of hope has been inflated to skyrocketing levels, it is necessary to purge off the old ideals if we are truly concerned about the future. How could we aspire to create something new if the source of action is burdened by the decaying ideas of the past? Hope could also stand as a stumbling block in our journey to build new institutions as we stunt its growth by forcing it to fit within the cubbyholes of our expectations. The recent depressing mood in the United States where Audacity of Hope turned into Mendacity of Hope is a strong case in point. What about trust? One may wonder. How could we build trust without hope? It is essential to understand that trust is an epiphenomenon arising from the faith we repose in the institutions we’ve built. It would be dangerous if we begin to build institutions to inspire faith, as it would eventually turn into farce and collapse like a row of upended dominoes fallen by just one domino of fear displacing trust. Since time immemorial, leaders have been near-mythical cult figures, exuding charisma, casting their abracadabra to revive stagnating corporations and bureaucracies, teeming with life. Their operational levers were driven by centralized power structures arising from single authority. The entire organization was cast under the spell of their pet ideologies. Their ability to lead depended on their capability to distance themselves from the web of circumstances their followers were led into. Their strong personality and exalted stature became a threat to the organization’s survival as it debilitated the organization when they left. Is it possible to lead without being led? This might sound confusing as the word carries the baggage of its illustrious past. It’s also tricky because the very act of leading puts the leader on a pedestal convenient to exercise unjust power under the guise of leadership, disconnected from the reality where ‘leading’ could happen. This isn’t yet another idea of leadership, although when it turns out to be effective, stands at the risk of turning into one. As it exists, it extends far beyond Brent Filson’s principle of leadership where the best results come not from what you make happen but from what you let happen. If it were let to happen, why should a leader exist? It’s highly probable that he might stand in the way of letting it happen. Henry Mintzberg, the radical management guru, was bang on target when he said, “Great organizations once created don’t need leaders"
Once we abnegate the old archetypes of leadership, the soil becomes fertile to allow the germination of leadership which remains totally unbiased towards any ideology or preconceived utopia. A crystal clear vision which can see with clarity, the limitedness of such biases and the effects they cause. A strong will to remain independent of all the conditioning of the past that has bred so much insecurity and fear. Leaderless organizations might induce vivid fears of anarchy. They are however quelled by the collective responsibility arising from ‘just power’, which would also ensure that freedom is enjoyed by everyone. The driving gears of this leadership would be the grandeur of vision, a larger-than-life purpose, far beyond myopic delusions of shareholder maximisation, which would inspire all those who are willing to lead. It would require not just dismantling of hierarchies but also shedding of ego baggage which often get accumulated in the act of leading. Effective leadership practice would require not more information (which is out in the open, thanks to Internet) but rather deep introspection, especially when the strong urge ‘to lead’ arises. If it arises from the lacuna, the psychological fear of being ‘nobody’, it cannot be effective. Only when it arises from the abundance of spirit, the infinite patience ready to be in touch with the reality as it is, it would be truly authentic and would serve the purpose. Crisis offers us tremendous opportunity, given its colossal impact, in an unprecedented scale, to build new institutions which govern our lives, unburdened by old ideologies. Although the moral urgency in setting the house in order cannot be understated, we need to ensure that we don’t repeat the same mistake which burnt the house to flames. The phoenix of our collective destiny has no other choice but to rise from its ashes.